For anyone who know Nanci and I, it’s extremely rare for us to exchange Christmas gifts. We generally like to spoil our niece and nephews instead. After all, Christmas is all about the kids. This year was a bit different as we decided to get each other one gift. For Nanci it was the IPhone 5 she wanted and so desperately needed as her old phone was on its last leg. Nanci got me what I considered to be a great gift and it was exactly what I would have gotten myself. About a year ago I decided I wanted a GPS watch so I bought one. I’m not going to mention their name but I struggled with it for over a month and then decided to return it. I had mentioned to Nanci I’d like to give another one a shot and along came the Nike+ Sport which I immediately thought was cool. 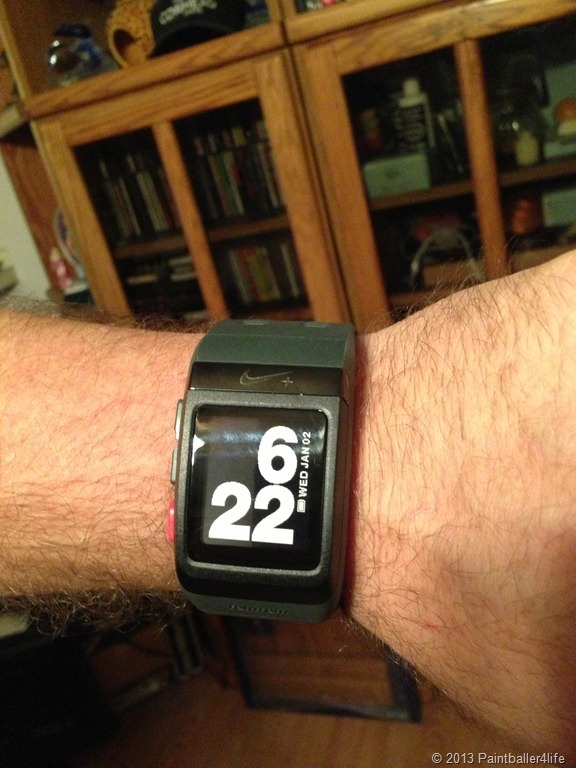 It’s exactly the watch I was looking for because of the GPS and website integration of my workouts. Easy to setup and even easier to use is what I’ve found with this particular watch and I’m loving it so far. With the colors it came in I was happy she chose the black/red, it’s exactly the one I would have chosen. The one thing I didn’t get with it but I plan on purchasing is the Nike foot pod. This will be a great addition for those days I have to take cover indoors from the rain. I’ll list out some of the cool features that I love. 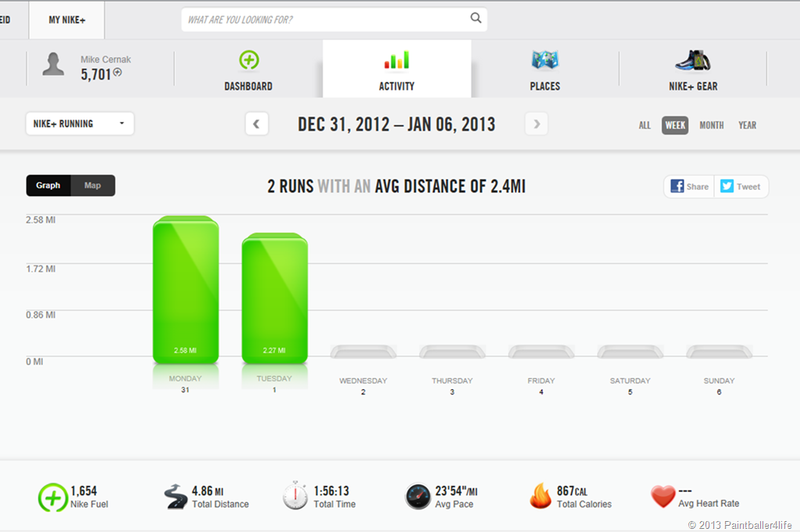 Tracking: This feature is pretty cool as you can see speed, distance, time elapsed, pace and my favorite…. Calories burned. This also has a stopwatch feature just in case you want to use it for evaluating your performance. GPS: Love the fact that you can track your route. Connectivity: I love this function as when I get home and plug it in I get to watch it draw out the route I took on the screen. 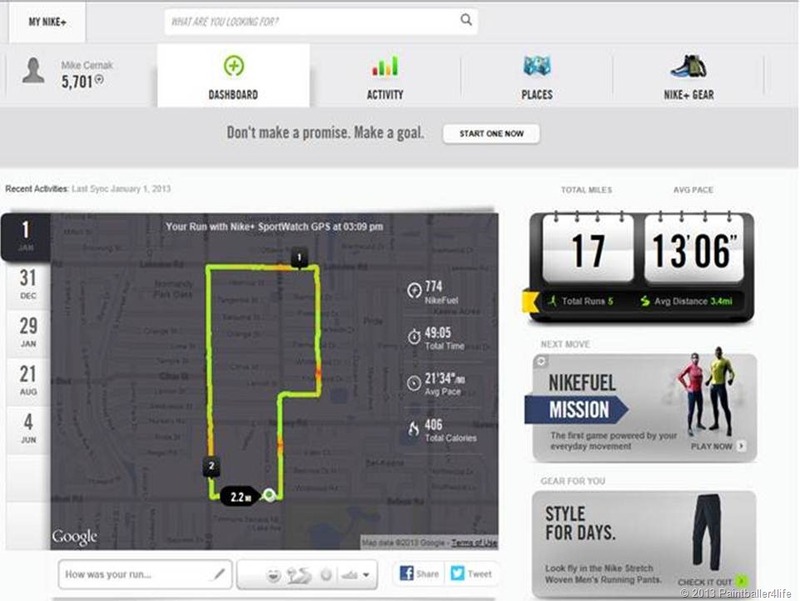 Another great feature is the ability to keep track of your, pace, speed as well as your mapped routes. Personal coach: I haven’t used this feature yet, but I’m looking forward to it. I’ve been told it will store up to 50 runs and your personal records. Run Reminders: I’m looking forward to this feature as it will help keep me on track with my regular runs and also has automatic alerts after 5 days or you can setup a personal schedule. What was your favorite gift of the year? Who got it for you? So glad you love your watch, honey!